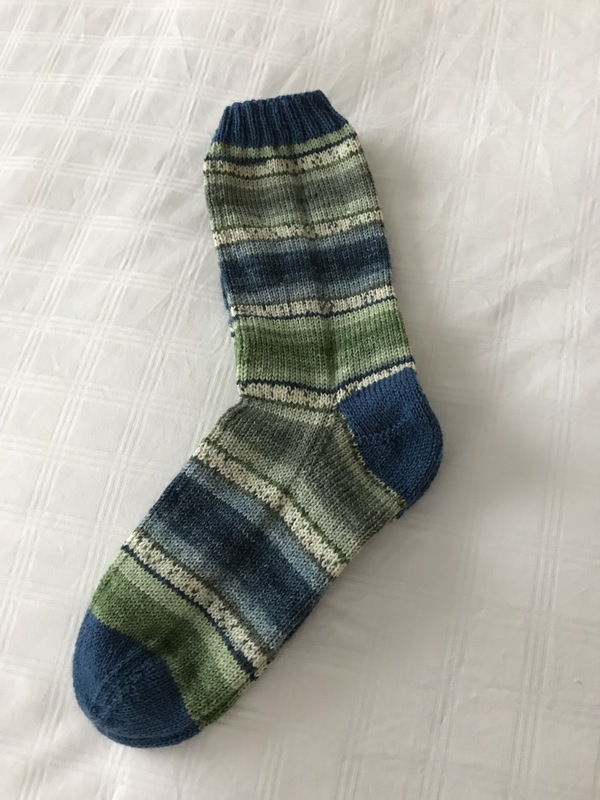 Finished these socks last evening. They were soothing to work on – enough gradual changed in the unfolding pattern to keep them interesting. I should really now return to a couple of sock repairs – there are still five pairs of socks in the repair basket wanting attention. Maybe I’ll work on one before returning to new yarn.